> Scheme to promote voluntary action for persons with disabilities. > Scheme for Prevention of Alcoholism and Substance (Drugs) Abuse. > Grant in aid Program for Assistance in the field of Social Defense. > Integrated Program for Street Children. > Integrated Program for Older Persons. > Assistance to Panchayati Raj Instts. Voluntary Organizations/Self Help Groups for Construction of Old Age Homes/Multi Service Centers for Older Persons. > Scheme of Grant in aid to Voluntary Orgns. Working for the welfare of Scheduled Castes. > Scheme of Assistance to Vol. Oiganizations. Working for the welfare of Other Backward Classes. > Scheme of Pre-examination Coaching for the Other Backward Classes. > Scheme of Pre-examination Coaching for Weaker Sections based on economic criteria. > Body registered under Societies Registration Act, 1860. > Charitable Company licensed under section 25 of the Companies Act, 1958. > Indian Red Cross Society or its branches. > Other public institutions having a legal status. > Body should be registered for at least two years at the time of applying for assistance. > Should have experience of working in the relevant field for two years. > Should not be running for profit to any individual or body of individuals. > Financial soundness and capacity to bear at least 10% of the budgeted expenditure. > Ministry can assist with grant of upto 90% of the budgeted annual expenditure.  Rental  Other recurring expenditure  Expenditure on staff  Non recurring expenditure on equipment, furniture and fixtures etc. > Awareness generation regarding prevention of disabilities and measures for rehabilitation of disabled persons and need for early interventions. > Education for the disabled. > Vocational training for the disabled. > Procurement of aids such as wheelchairs, tricycles, walking sticks, hearing aids etc. > Expenses for travel to hospital/camp for disabled persons and one helper. > Food expenses for hospital stay for 15 days. > Rehabilitation services for De-addicted persons. > Nutrition > Stay facilities > Medical care > Recreation facilities. > Pre-examination coaching for competitive/entrance examinations for recruitment to services under the Central and State Governments, PSUs, Banks, Defense Forces and admission to technical, engineering, medical, agricultural, management courses etc. > Candidates belonging to minorities having a family income not exceeding Rs. 44500/- per annum can avail coaching. > Coaching can be availed for civil services examinations for Center and States, Professional courses etc. > Stipend available for students attending coaching classes. > Courses run by universities and institutions of repute supported. and admission to technical, engineering, medical, agricultural, management courses etc. 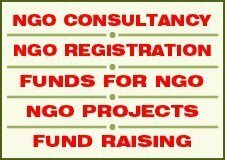 > Application must be accompanied by copy of audited accounts certified by CA for last two financial years, budget, annual report on NGO for last two years, list of beneficiaries. > Application must be submitted to State Govt. which should have the NGO inspected by its officers and forward the case with its recommendations to M/o SJ&E. > District Magistrates are also authorized to recommend applications to GOI. Minis by will avail State Govt.’s recommendations for one month. If not received it will proceed on DMs recommendations. > Issue of sanction letter indicating amount released, detailed breakup for various items and conditions of release. > Receipt of bond from NGO. > Dispatch of Demand Drafts. > Amounts sanctioned on annual basis is released in two installments. > First installment on ad-hoc basis. > Second installment only on recommendation of State Govt./designated authority and application accompanied by utilization certificate regarding past releases audited accounts, annual report etc. > Applications must be complete in all respects as many of the items enable monitoring of performance by the Ministry and form basis of future grants. 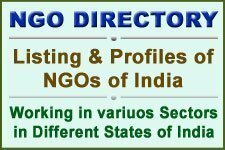 > NGO must cooperate in inspection by Ministry & State officials. > Spl. audit of acct. may be ordered if necessary. > Criminal and civil liability. > Recovery of misused grant as ALR. > Seizure of assets created with Ministry’s assistance. 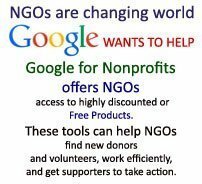 > Circulation of information to other bodies dealing with NGOs and blacklisting.